THIS IS AFRICA!! This statement is thrown around in Mozambique when something is amiss, slow, not working, uncomfortable or just down right incredible. 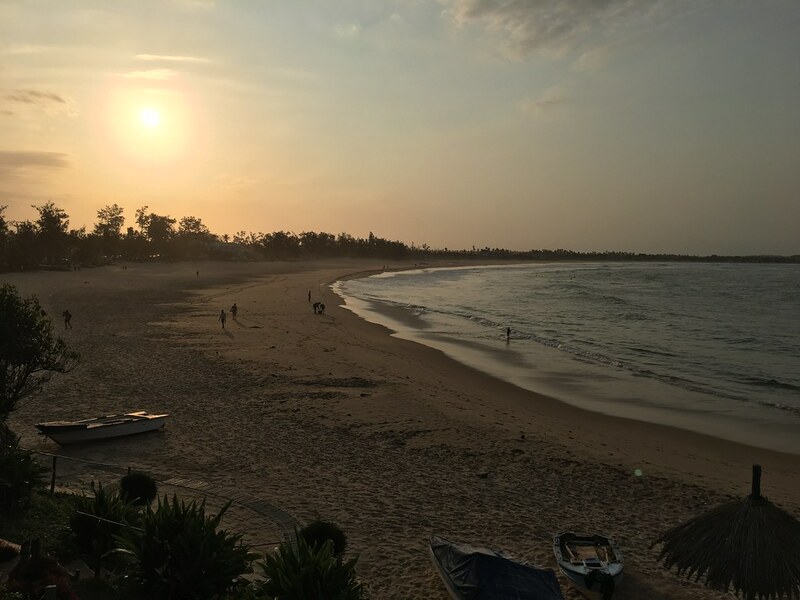 My trip was a long time coming as Mozambique has always been on my short list due to rave reviews from like-minded adventure hungry travellers I have crossed paths with. 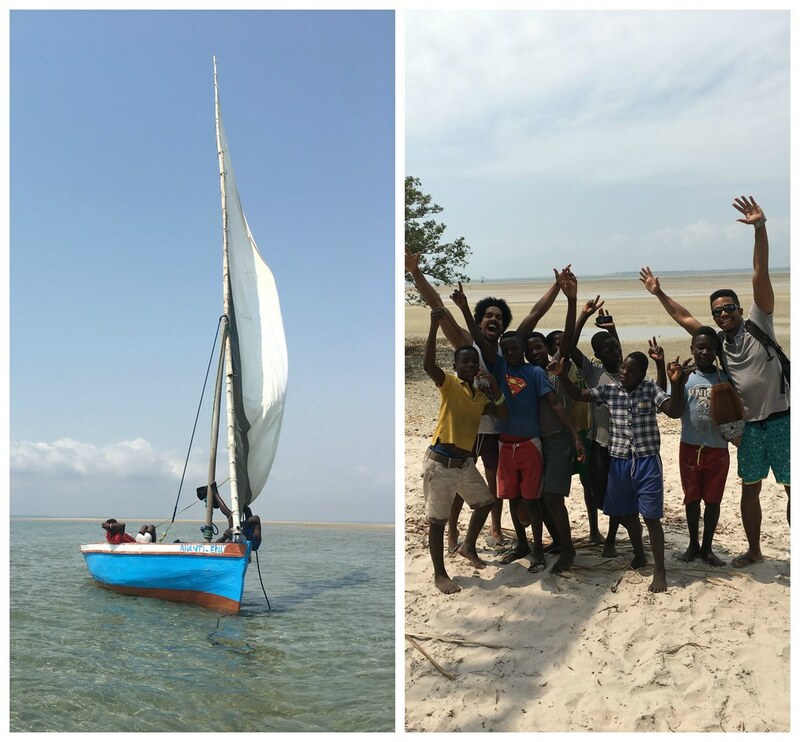 This is a full day tour undertaken in Inhambane Bay. It starts with a light breakfast on a dhow (local boat) followed by snorkelling and some sea shell picking on Pansy island. 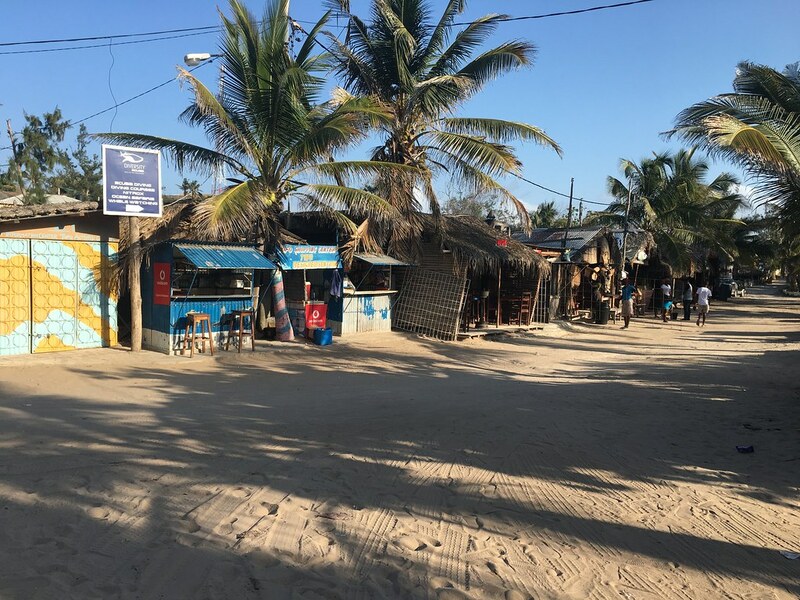 The main attraction is Pig Island where upon arrival you will be served a delicious lunch before embarking on a tour which includes meeting the chief of the island as well as visiting the local school and clinic. The tour was very informative and according to our guide, there are only +- 800 permanent residents who reside on this island and they are predominantly self - sufficient with supplies being brought in by boat every so often. Tofo is well known for its majestic dive sites and is a firm favourite amongst the international diving community. There are several dive companies whom conduct dives to the 17 reefs which lay in wait along the coast. The shallow dives are teeming with small marine life whereas the deep dives hold the key to getting up close and personal with Manta rays and reef sharks. 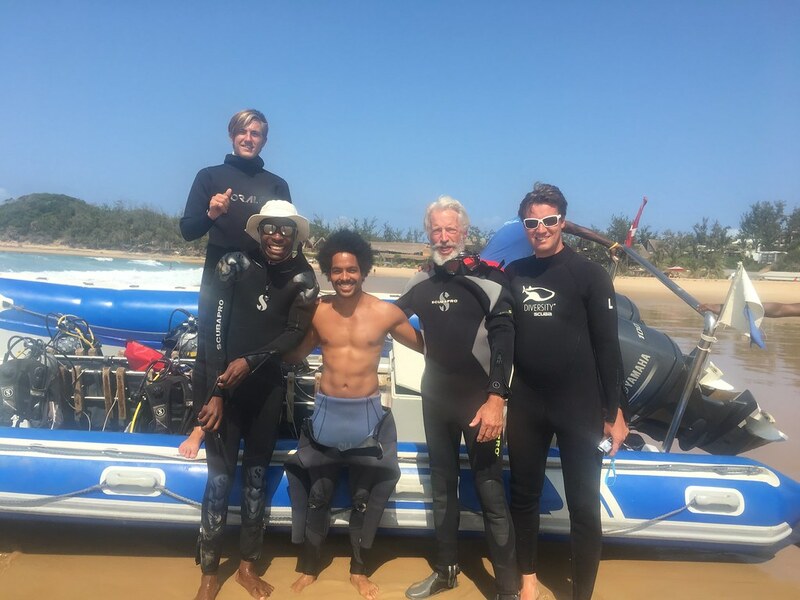 My first dive attempt was hugely unsuccessful as high winds and rough seas created the perfect combination for ending up at the Panic Station. I started throwing up over the side of the boat while gearing up. Once in the water, waves the size of Teahupo’o were crashing over me causing my ill fitted mask to keep flooding while trying to descend. This in conjunction with poor visibility caused my brain to activate flight mode and I called it quits, returning to the boat. That feeling of legitimate fear soon turned into one of defeat. I quickly made a promise to myself that I would be back. A few days later after some meditation and visualisation techniques, I was back out on the boat to concur Salon reef and Crocodile Rock soon after. Price = +-$50 *You will get a discount if you stay at Fatima’s Nest. 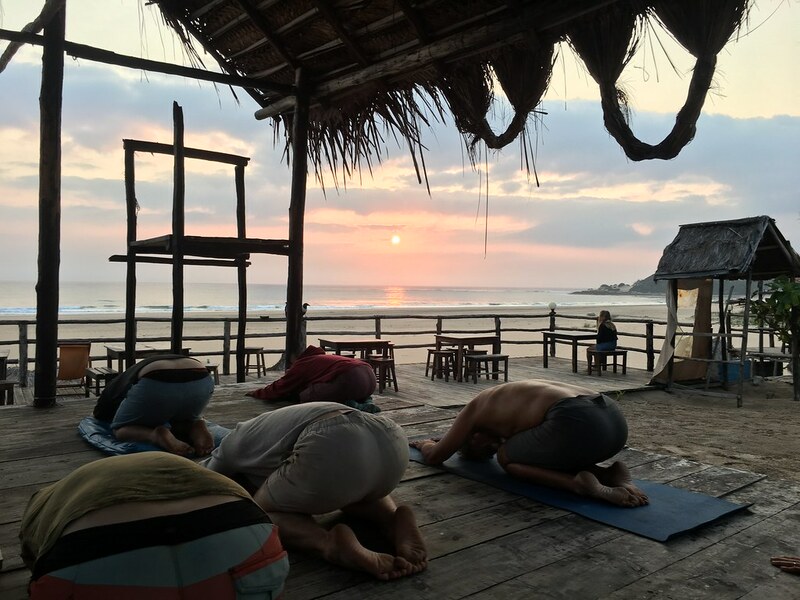 This is the most popular activity to undertake while in Tofo. It consists of a 2 - hour boat ride zig zagging up and down the coastline in search of the famous whale shark with Manta rays, dolphins and Humpback whales also on the agenda. This excursion involves snorkelling so be prepared to jump in and be in awe while watching a whale shark glide underneath you with its unrivalled beauty and power. My only gripe with this trip is the chaos that reigns when a shark or manta is spotted and the whole group (6 – 10 pax) jumps into the water and frantically swims towards it to get video or camera footage for their social media feeds. It felt like we were crazy intruders which didn’t leave a great taste in my mouth. Wow, is all I can say! This was my favourite activity by a long shot. 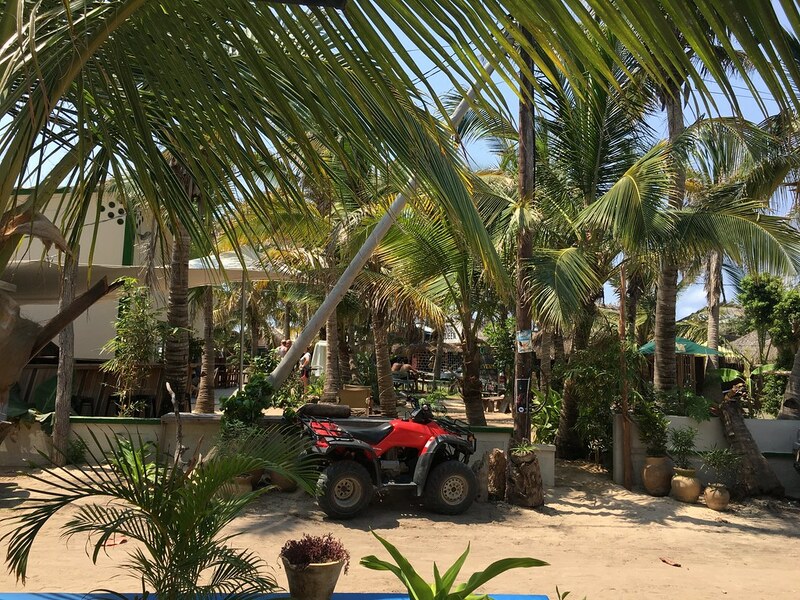 Six of us hired quad bikes and hit the sandy trails from Tofo all the way up to Barra Beach. Riding along sandy pathways in and amongst the palm trees past local villages with the wind in our hair is how memories are made. As soon as we opened up the throttles on the flat open sand in Barra my adventurous self started screaming ‘Love it!’. Oh and a trip to Barra is incomplete without a stop at Flamingo Bay Lodge for a beer and a dip in their pool looking over the lagoon. Mozambeat Motel hosts a weekly Wednesday movie night with free popcorn. We watched the final instalment of Pirates of the Caribbean while chilling in hammocks, couches and oversized pillows. It’s a great place to have drinks, mingle with others and perhaps fall asleep while cuddling a new person. I definitely recommend this spot for a chilled mid- week activity. This is ONLY local knowledge so you can thank me later for unearthing this phenomenal gem. I befriended a local who goes by the name Filipe. On a daily basis he always seemed to be wearing the most incredible colourful clothing. He knew I was biting so he introduced me to Ricardo. 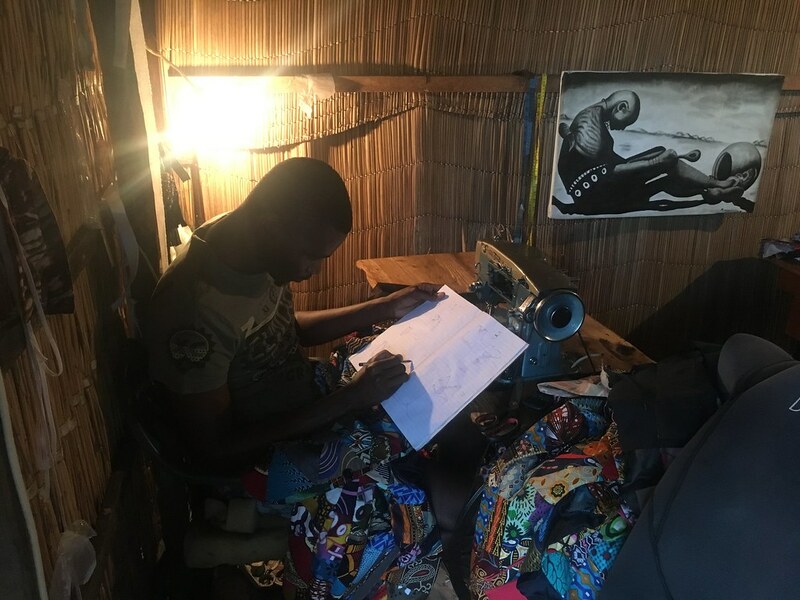 Ricardo and his family run a garment making business selling their pure cotton clothing to the local villages and foreigners who manage to track him down. From shorts and long trousers to hoodies and full suits bursting with colourful patchwork of squares and triangles, you will want to buy more than one item. Go find him! 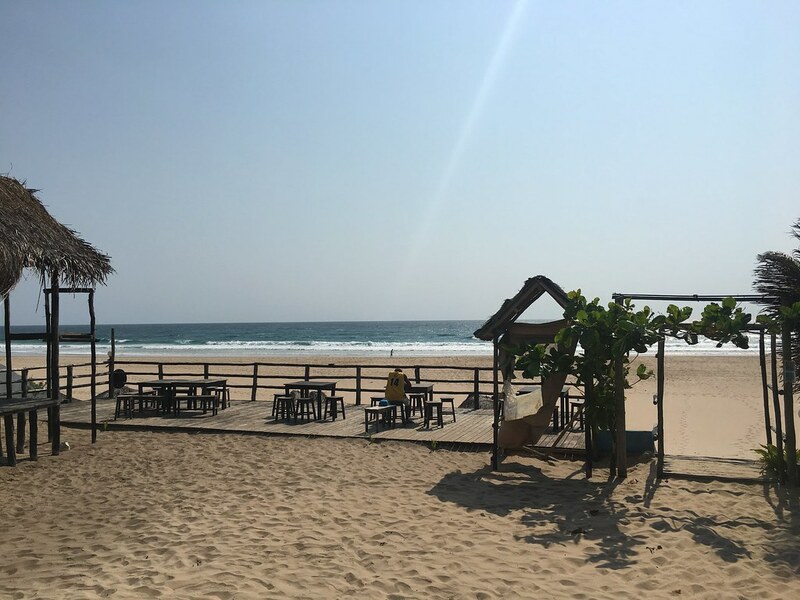 Accommodation in Tofo ranges from backpackers and lodges to private houses for hire. I was hosted by Fatima’s Nest for the duration of my stay and couldn’t have asked for a better room with a view. My suite was sea facing with only a hop skip and jump to have my feet in the sand. 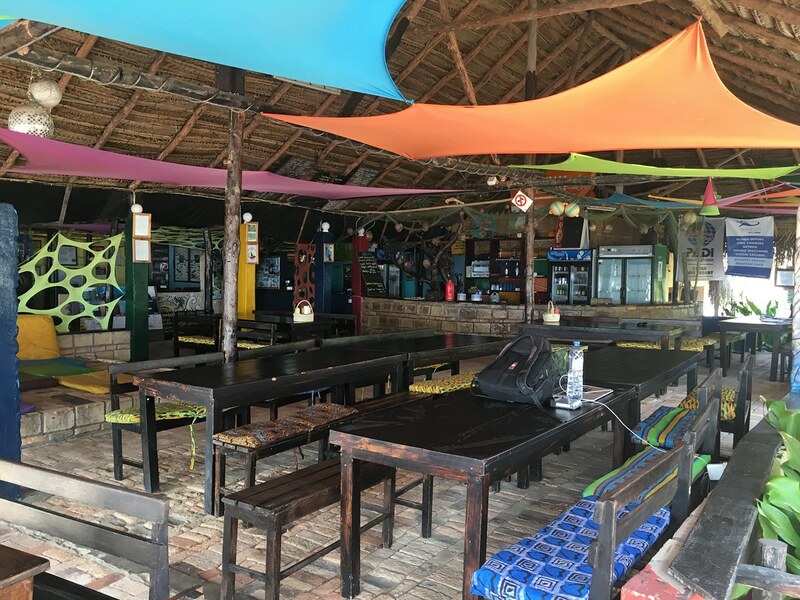 Friendly staff, unrivalled location and great place to meet likeminded travellers makes this backpackers a must even if just for a night or two. Their accommodation ranges from camping and dorm rooms up to private sea facing suites. Price starts from $8 up to $29 per person per night. The area of Tofinho is situated on a hilly outcrop just to the right of Tofo. It is also the home of Tofinho Point which is a haven for surfers when the tide is right. If you are a beginner surfer like me, leave your ego at the door and rather watch the surfers from the hill while soaking in the chance to see Humpback whales breach and school of dolphins’ swim bye. Dathonga is an art gallery/restaurant/bar which hosts live music and a dj every Sunday evening. Indulging in cold beverages while joining sweaty bodies move their hips on the dancefloor is a must to end of a great week or start it off depending on which way you look at it. Be prepared to meet plenty of beautiful people so you might just be in luck finding your holiday crush. Don’t say I never warned you! Tofo provides plentiful options when it comes to cuisine. The most expensive meals are served at the restaurants at the various backpackers and lodges. They provide decent sized portions but some could be overpriced so watch your budget. The restaurants and bars in town cater for all taste buds where you indulge in seafood, pizza, burgers, Italian, Indian and the list goes on. Seafood is your best bet for obvious reasons and I highly recommend Tofo Tofo for their fish of day, it is mouth – watering! If you choose to eat at any of these places, take my advice and do not order when you are hungry, order before you get hungry. TIA after all so things move just that much slower. With all that said, the well-known adage “eat where the locals eat” holds firm. The market in the middle of town provides fresh fruit and veg, rice and beans, chicken kebabs, sausages, egg rolls and much more for less than a third of the ‘tourist’ prices so head there for breakfast and lunches. There is no ATM in town so take sufficient cash with you as the majority of the local establishments do not accept cards (1 MZN = 0.016 USD at time of writing). If you do run dry, you will have to take the local chapa (bus), taxi or hitchhike to the nearest petrol station which is +- 10 mins away. It is quite a distance on foot, so I don’t recommend walking there and back. There are lots of mosquitos especially in the summer season so bring ample insect repellent.